In the mu.semte.ch framework we use EmberJS in the frontend. The data is retrieved through Ember Data or AJAX requests, via the identifier and dispatcher, from the microservices in the backend. Aad Versteden has already explained in a previous blog post how to use an Ember docker to facilitate the development with ember-cli and connect to the backend microservices through a proxy. In this article we will focus on the hosting of an Ember application in a production environment using the Ember proxy service docker image. 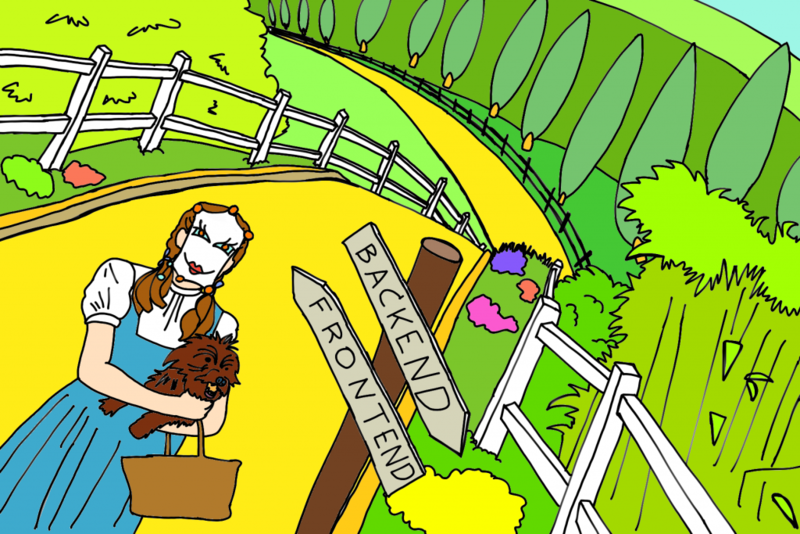 What’s typically done, is hosting the backend API on the /api path. As a result the HTTP server can decide with a simple regex on the request URL whether the request must be served by the Ember app or by the backend API. This approach however puts a limit on your backend API since all the API paths must start with /api. To circumvent this limitation on the backend we’ve created a Nginx proxy service that just does what you need. Just add your frontend app and it will automatically make the Ember app serve all HTML requests and requests to a path matching the regex ^/(assets|font)/. All remaining requests will be proxied to the backend. Have a look at the Nginx configuration in the container if you want to know how this works in depth (it makes use of the 418 I’m a teapot HTTP status code 🙂 ). The built application will by default be available in the dist/ folder of your frontend application. docker build -t my-ember-app . The Nginx proxy service has a couple of configuration options. The regex of requests paths that must be served by the Ember app is set to ^/(assets|font)/ by default, but can be configured through the STATIC_FOLDERS_REGEX environment variable. For example, with the following configuration the Ember app will also serve paths starting with /images . You can also add some custom Nginx configuration by adding one or more *.conf files in the /config folder. They will be automatically picked up by Nginx. The Nginx proxy service offers a simple and configurable solution to host an EmberJS application on an HTTP service with a proxy to the backend API without putting limitations on the backend request paths. In fact, the proxy service can also be used with other single page app technologies than EmberJS like for example Angular or React. Next Semantic Micro Services, Why Bother?